Absconding Gorkha Janmukti Morcha (GJM) leader Bimal Gurung has accused the Mamata Banerjee administration of planning to settle "illegal Bangladeshis" in the hills of Darjeeling. Expressing apprehensions about any such move, Gurung claims, "I have been made aware of the fact that state government is secretly measuring land in our hills, if this is being done to settle illegal Bangladeshis who have been removed from Assam, then it creates a national security threat. Darjeeling Terai and Dooars help connect mainland India to the north east states, this Chicken Neck region is therefore highly sensitive in entire South Asia, and there are possibilities of anti-National, anti-India forces fomenting trouble in this region." "I will not permit any political entity from the state to jeopardize our national security. No one should dream of undermining the indigenous population of north Bengal by hoping to settle illegal Bangladeshis who have been kicked out to Assam. If they attempt anything like this, then all the Rajbanshis, Kamtapuris, Adivasis, Meche and Gorkhas from Dooars and all the Gorkhas from the hills will speak with one voice against this," Gurung claimed in an official statement. The GJM leader has also requested the Modi-run central government to consider all genuine cases of those who have been living in Assam prior to March 25, 1971 and have been struck off the citizens list with utmost care and sympathy. "We are also struggling for our identity here, and are very worried at the situation developing due to NRC in Assam," he said. "We fear that this could lead to the marginalisation of the indigenous Gorkha-Kamtapuri and Adivasis of North Bengal, and we want to ensure that no such unfortunate situation in allowed to develop. We won't allow the indigenous Gorkha, Adivasi, Kamtapuri, Meche and other indigenous communities, along with the persecuted Namasudra and Matua communities to suffer any injustice," Gurung added. "If a conspiracy is hatched to settle illegal immigrants who have been removed from another state to our lands with which we share a very long border, this will put to grave risk the national security of our country," the GJM leader cautioned. 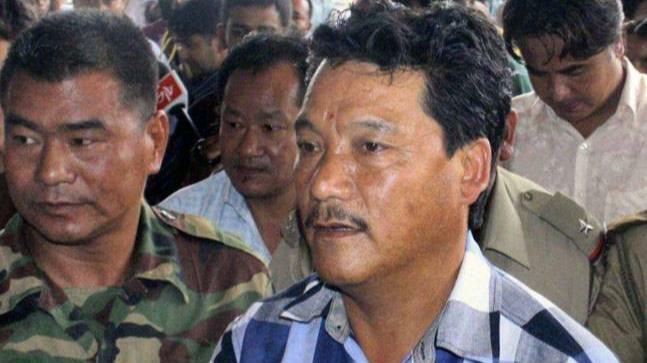 Gurung has been on the run since last year after he was booked under the stringent Unlawful Activities (Prevention) Act or UAPA following a violent agitation by the GJM demanding a separate Gorkhaland state in Darjeeling.